As I was saying in a post about the Peugeot 360 concept, this “360” branding is all over the place now, like on consoles, tooth paste and Yahoo services. Phones are probably the only ones lacking this branding, but there’s a new “sheriff” in town, with the above-mentioned branding. 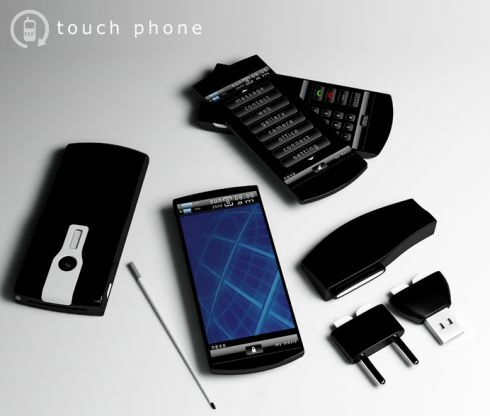 Designed by Eno Setiawan and looking hot, the 360 Touch Phone is a promising smartphone. It comes with a rotating screen, touch pad control, touch pen, a camera with flash, an accelerometer and wireless charging. And for the ones that’ll jump at my throat for comparing concepts with the iPhone, this is NOT an iPhone clone.